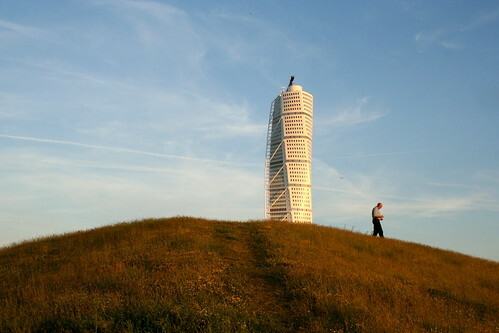 There’s lots of exciting things happening in my town of birth: Malmö, at the moment. Malmö is located in the Skåne region in the south of Sweden, close to Copenhagen. So close, in fact, that it almost starts to look like a suburb to the much larger danish capital. This is especially true since after the Öresund bridge was built 10 years ago. There’s a small but vibrant startup community forming in Malmö. The epicenter is a former industrial harbor area not far from the old headquarter of Kockums, the major employer in the city during the previous boom in the 60s and 70s. As the startup community is taking shape it is at the same time looking for an identity, a soul if you like. It is easy to just look at the startup Mekka of the world, Silicon Valley, and say “we should have it like that here“. But Skåne is not Silicon Valley and Sweden is certainly not California. The blog Northern Lights has a good summary of some of the challenges facing startups in Skåne. Lack of venture capital is one of them. Sony Ericsson, one of the biggest employer of technical skills in the area, recently announced the launch of a new organization that will invest in local startups, referring again to Silicon Valley as the role model. While this is good news I don’t think it’s enough to build a sustainable, vibrant and thriving ecosystem for startups and innovations. Skåne should not try to copy Silicon Valley. Instead it should become Silicon Valley, as much as it can. It means, as a first step, deeply ingraining the people of the Skåne startup community in to the community of Silicon Valley. A good example of what this can lead to is the recent investment by legendary Silicon Valley VC fund Sequoia Capital in Swedish payment providers Klarna. This would not have happened if not Sequoia previously invested in Swedish kids site Stardoll. This is how one successful investment leads to another. Through contacts, referrals and connections. 1. Move as many startups as possible FROM Skåne to Silicon Valley. They have to BE THERE, get to know the people, get connected. This will hurt to begin with as you will feel as if you’re draining the region of talent but it’s crucial for long term success of the region. 2. Make sure the entrepreneurs are as successful as they can be over there. Help them as much as you can. 3. Make sure they come back after they made their millions. 4. NOW it’s possible to grow the community locally. The key to success is having lots and lots of entrepreneurs who’s made the journey and know what it’s like to work in a startup. These will form the base for the oh-so-lacking angel funding and – more importantly – they will have huge contact networks that can help new startups. Trying to build a local copy of Silicon Valley, without going this ruote, will fail. Silicon Valley is not a process or an idea you can copy, it is first and foremost a community of people and a culture. The key is not to copy but be part of that community.